If only the Government adopted some of the principles that businesses have to apply on a day to day basis in order to exist let alone succeed, it might avoid such debacles. Given the breadth of reform currently in play and the very recent consultation for the new register, the 3rd October was very optimistic. Why wasn’t this picked up as a risk in the project/implementation plan earlier and mitigated? We are only 2 working days away from the original 3rd October date, surely those working on the new register criteria and portal would have known before this week that they weren’t going to be ready in time. 1. With the funding agencies seeing their headcount reduce significantly over the last 5-6 years, where is the capacity to assess all the submissions that will be made to the new register? 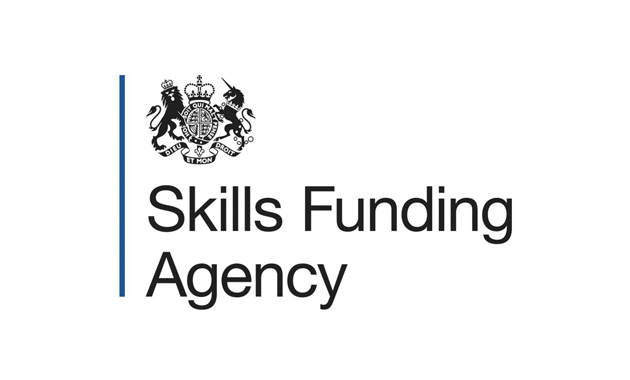 I don’t believe there has been any Expression of Interest or PQQ to establish potential capacity requirement – the only valid evidence of capacity known at the moment would be those prime/sub contractors/employers currently on ROTO who deliver Apprenticeship. 2. New register. New process. Unknown capacity to assess submissions. Challenging to forecast an accurate date by which to confirm whose in and whose out. This just further compounds the problem of planning and managing delivery whilst still expecting providers to engage and sell the new world to employers. The sector understands the pace of significant change brings challenges in design, build and implementation. But confidence will continue to be eroded if those who set the timetable then continue to miss their own published milestones. The fiasco of the apprenticeship reform continues. In August we expected a definitive guide to the changes, costs and funding but we got a proposal. Within the proposal we are told the RATP opens 3 October, for why? With a proposal, especially on the scale it was, why would you continue with an untenable timescale? Because the powers that be obviously did not expect such a reaction. The feedback was far more extensive, the changes following the feedback, far more wide ranging than expected – so another delay. Which impacts all down the line. Does no-one realise just how large these changes are & the implications to us as suppliers and businesses as customers? To assume that training providers and colleges can wait until the end of March (implicit now with the delay in opening the RATP) to plan for something launching in April is plain ridiculous. We generally do not, and cannot, run our businesses like this, so why are we expected to now? If this was a business, it would have gone to the wall by now. OK the levy is probably going to have to go ahead, but delay the changes for a year at least & ensure a robust, quality focussed, learner driven reform is in place, well communicated so businesses do engage in the reforms instead of being scared away because of confusion and uncertainty. Spirit of change is all well and good, laudable even, however those at the coal face work in practicalities, in communication, in promotion and need hard cold facts. I have yet to see a convincing case for the wholesale reforms that have been proposed, not just in funding but in the content and structure of apprenticeships. There were certainly areas of the system that needed improvement and these could have been addressed on a point-by-point basis, if necessary over time. I’ve been active in vocational education and training for 35 years now and the last three governments (Con Dem, Cameron and now May) are by far the most irresponsible I have seen. Despite fine words, there is clearly no real interest in or commitment to the skills agenda. Just when you think things can’t get worse…. The system is working for small/medium employers. Let the chancellor get his pound of flesh from the large companies looking to deliver their own frameworks – it has been a money spinner for years for some of these guys, often with horrific results – and it’s about time they paid something back. Please let the training providers and colleges (the professionals) continue to find and support the ‘local need’ without all of this frankly needless disruption and uncertainty. It is damaging a system that works. Unfortunately these changes sit within a wide range of delays across all funding scenarios that ultimately lead to a reduction in Provider capacity and loss of skilled people, who are the bedrock in the quality of the delivery. Once these folk are lost it takes time to replace and rebuild the capacity. The ESF round this year has been fraught with delays leaving almost a 2 year gap between programme, which further leads to reductions in staff. The wide array of changes are impacting on working with young people and it is not just the funding for Apprenticeships and other post 16 learning; eroded or missing, that many Providers are coping with. These changes sit alongside a continuous loss of other services funded by Local Authorities, particularly those involved in the engagement of the most vulnerable. There seems to be a lack of understanding that many of the services are delivered amidst a complex array of funding streams and when all of these streams are changed within the same time periods, it quickly destabilises the whole system. Well, the last comment certainly rings true. I used to work at the coalface literally for 20 years. Look what the idiots in the Tory government did then and look at what they are doing now. The strategy then was to import coal from Russia and China. Now that is a really good idea. Clueless, every last one of them. Its time for contingency planning! Transfer all providers who have passed Capacity and Capability on ROTO straight onto the new Register with a review process for these middle of next year. This will at least cut down the short-term workload and the “undesirables” can be kicked off then! The Government should be moving the reforms and Levy back to September 2017 to both give more time and also align with the academic year.